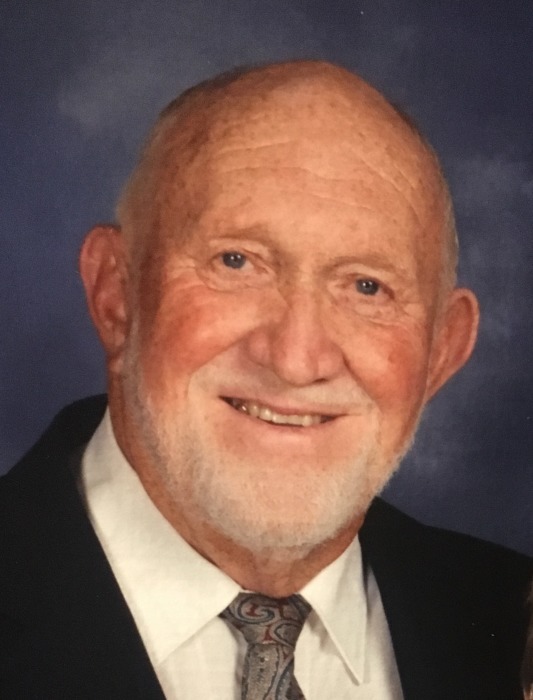 Obituary for Paul "Red" Woodward | Clawson Funeral & Cremation Center, Inc.
Paul “Red” Woodward, 79, of Vandergrift, PA, went home to be with our Lord on Thursday, March 28, 2019 in Boca Raton, FL after a brief illness. Paul was born on February 16, 1940 in Kittanning, PA, the son of the late Perry and Jeannette (Painter) Woodward. He graduated from Vandergrift High School in 1958 and went on to serve in the U.S. Air Force for four years where he was stationed in Maine and England. He returned home to Vandergrift and became a member of the Vandergrift #2 Fire Dept. for many years. Paul was the founding coach of the Allegheny Township Girls Softball League in 1982, where he coached for several years. He was a past member of the Clarion River Rattle Snake Association in Elk County, PA. Paul was employed as an Elevator Constructor for the National Elevator Union of Pittsburgh for 37 years, retiring in 2001. On November 6, 1981 he married Patricia (Schloder) Lamari of Johnsonburg, PA, who survives. Paul is also survived by eight children: daughters, Paula Heilman (Paul) of Leechburg, Mary Jo Brunecz (Nick) of Sugar Grove, Kim Kerchinski (Tom) of St. Marys, Pam Lamari, Valerie Lewis (Steve), Daniele Vuksic (Andrew,) all of Boca Raton, FL; two sons: Frank Lamari (Debbie) of West Leechburg, Patrick Lamari (Renee) of Strasburg, CO; 13 grandchildren; and 13 great-grandchildren. In addition to his parents, he was preceded in death by his sister, Betty Shever in 1980. Paul was a dedicated husband and father who loved his wife and children/grandchildren more than life itself. He relished every opportunity he spent with them; from his yearly hunting trips out West with his sons to teaching his grandsons to hunt, his wintering in Florida to spending Spring at the greenhouse in Sugar Grove, PA. The highlight of every year was the family Christmas gathering where he was the ultimate Santa the past 38 years for his grandchildren and great-grandchildren. For anyone who ever met Paul “Red” he was a gentle giant. An amazing, selfless man who was the patriarch of his family. He will be missed immensely. But there is peace in knowing that God is the author of Life and Death and by His grace, Red is in Heaven today with our Almighty Father. Friends welcomed by his family on Friday, April 5, 2019 from 1-3 and 6-8 p.m. at the Clawson Funeral & Cremation Center, 170 Main Street, Leechburg (724-842-1051). Parting Prayers of Transfer will be held at 9:45 a.m. on Saturday, April 6, at the funeral home, followed by Mass of Christian Burial celebrated at 10:30 a.m. at Christ the King Parish, 125 Park Road, Gilpin Township, with the Rev. James H. Loew, O.S.B., officiating and military rites conducted by the Vandergrift Veterans Honor Guard. Interment following at Greenwood Memorial Park, 104 Melwood Rd., Lower Burrell.